These hand made wine glass figurines are great! 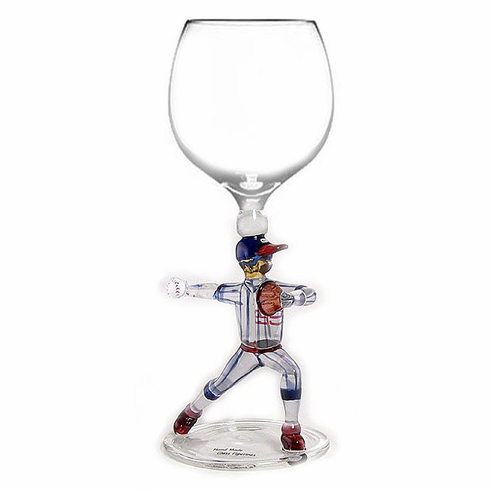 Glass baseball pitcher design. Each piece of glass is beautifully and carefully crafted by expert glass artists. These artists use a variety of techniques and tools to create these one of a kind glass pieces. Great gift item for the baseball fan who has everything.